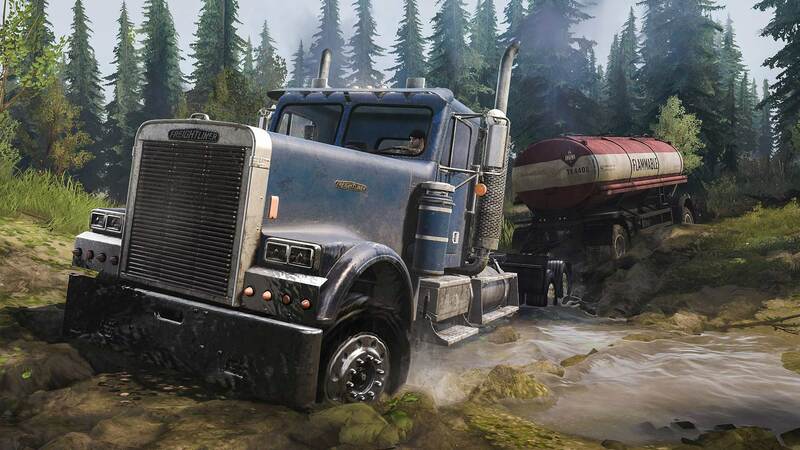 ©2018 Spintires: MudRunner - American Wilds. Developed by Saber Interactive and published by Focus Home Interactive. Published and distributed in Japan by Oizumi Amuzio Inc under license of Saber Interactive and Focus Home Interactive. 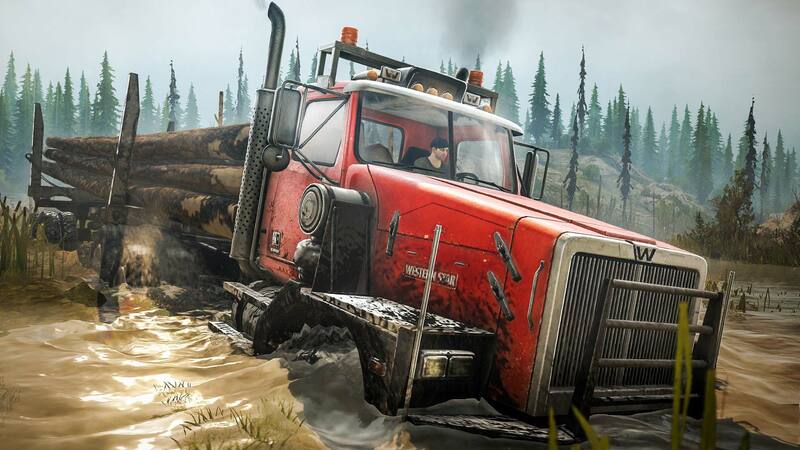 Spintires is a registered trademark of Oovee™. MudRunner is a trademark of Saber Interactive Inc. Havok software is © 2018 Microsoft. 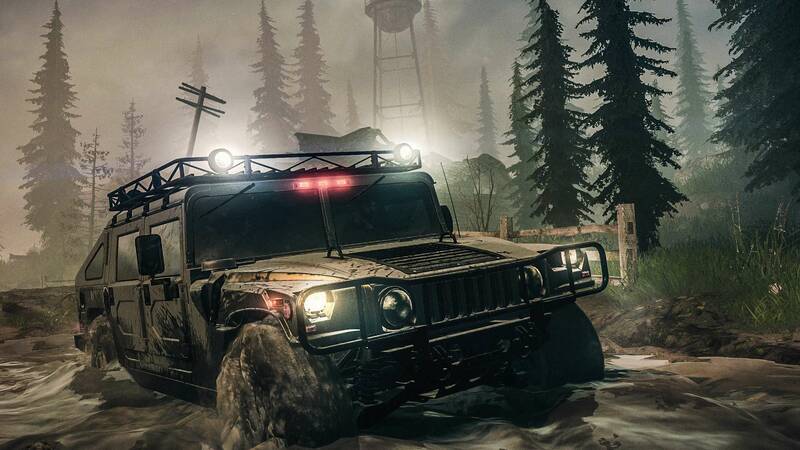 Hummer H1, Chevrolet, K5 Blazer and Bison are trademarks of General Motors LLC. Freightliner FLD120 and Western Star 6900X are trademarks of Daimler Trucks North America LLC. All trademarks belong to their respective owners and are used by Focus Home Interactive under license. All rights reserved.